This article originally appeared in Forbes on April 18, 2018. Read it there. Among society’s most pressing questions with the aging of the population is who will help growing numbers of frail elderly with routine tasks at home, such as bathing and dressing and cooking. 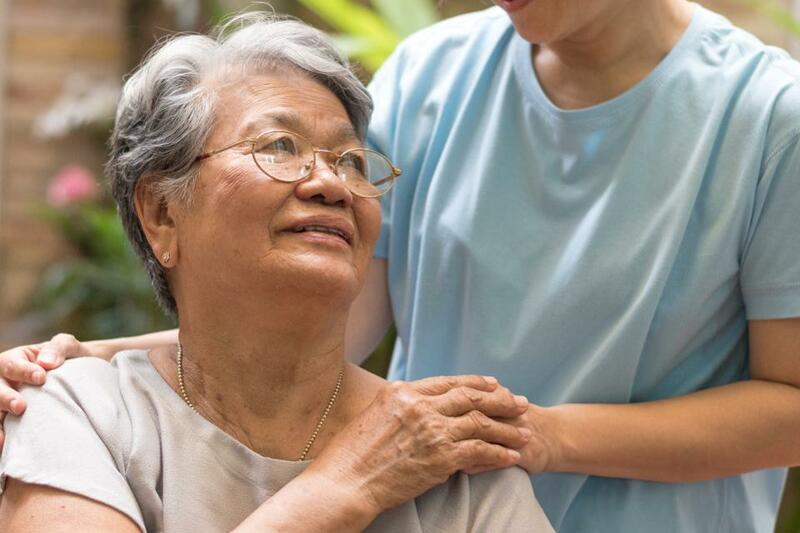 Families often take on these caregiving responsibilities, but the job isn’t practical for many working boomers and Gen Xers, families with far-flung children, widows and widowers and the childless elderly. That’s why the need is so great for professional home care workers. The demand for home care workers — also known as the “direct care” workforce — is expected to increase dramatically in coming years. Government statisticians rank home care as one of the nation’s fastest growing occupations, with an additional million workers needed by 2026; that’s an increase of 50% from 2014. And the number of Americans age 85 and older is projected to more than double in the next few decades, soaring from 1.8% of the population in 2010 to 4.5% in 2050. Sadly, the dismal combination of low wages, inconsistent work schedules and poor advancement prospects will make it extremely hard to fill the projected home care positions. In fact, the shortage of professional caregivers may well be even worse than you — and experts — think. That’s the gloomy conclusion I reached after attending several sessions on the future of the home care workforce at the recent Aging in America conference in San Francisco. That said, during conference sessions and subsequent conversations I had with home care experts, I heard about a few intriguing initiatives to improve working conditions, which could shrink the high industry turnover and boost recruitment. The impending shortage of caregivers is becoming a problem that growing numbers of people want to fix. “I think recently I have seen more attention by people in the elder network and general public on the plight of home care workers,” says Lisa Gurgone, executive director of the Home Care Aide Council in Watertown, Mass. Will There Be a Political Solution? Reform will be hard, however, and could take years of advocacy and lobbying. At the moment, federal legislators and the Trump administration show no inclination to grapple with overhauling the long-term care infrastructure, rewriting Medicaid rules in order to hike workers’ pay and benefits while lower the out-of-pocket cost to clients. However, home-care experiments at the state level could eventually inform federal blueprints for change. “We don’t think there is a path forward without a political solution,” says David Hammer, executive director of the ICA Group, a consulting firm that helps grow worker cooperatives, employee stock ownership plans and other social purpose ventures. To understand the problem, it helps to understand current conditions. The home care industry is losing workers to big box retailers, fast food restaurants and similar businesses paying higher wages. The median hourly rate for home care workers is a measly $10.66 according to the U.S. Bureau of Labor Statistics. That’s about what a short-order cook makes and it’s two-thirds of the hourly earnings of veterinarian technicians, notes Howard Gleckman, senior fellow at the Urban Institute think-tank and an authority on long-term care. “In other words, we pay people $5-an-hour more to care for our cats than to care for our mothers,” Gleckman acidly writes. Benefits are paltry, too. Only a third of home care workers are employed full-time and, as with most businesses, part-timers often don’t qualify for benefits. Families generally don’t provide health insurance, either; about 40% of home care workers rely on public health care coverage (mostly Medicaid). Worse, the industry has high rates of on-the-job injuries (higher than mining and oil and gas extraction) and there is a high risk of sexual harassment and assault for its primarily female workforce. Little surprise that The National Domestic Workers Alliance has called for a #MeToo Day of Action for domestic workers including home care workers; it will be April 24. It’s easy to see why annual turnover rates at home care agencies are around 60%. Gurgone and her colleague Hayley Gleason at the Home Aide Care Council presented this telling statistic at the Aging in America conference: Home care agencies in Massachusetts hire 18 people every three months, on average, but they lose 15 workers over the same time period. “My reaction was: ‘You’ve got to be kidding me,’” Gurgone said in an interview. One reason: The Trump administration’s plans to restrict legal immigration to the United States. About one-in-four workers at nursing homes, assisted living facilities and home care agencies are immigrants, according to PHI, the Bronx-based advocate for the direct care workforce. But industry reforms are beginning to bubble up. The ICA Group is taking a different tack. It’s working to expand the number of home care cooperatives beyond the current 10 nationwide. Co-ops are owned and controlled by home-care workers; members get more training opportunities, steadier work schedules and better benefits than normal. ICA is also reaching out to retiring home care agency owners to see if they’re interested in selling the businesses to their employees. Similarly, several states are taken small steps to improve the home-care worker job, most importantly by creating opportunities for advancement. And there’s now greater emphasis on home-care worker training in Washington, largely through the efforts of the Service Employees International Union. America’s home care system will fail without paying higher wages and benefits to workers. Getting there will be an uphill struggle.